Brett King is the author of Augmented and Breaking Banks. In today's episode, recorded on June 24, 2015, we discuss contextual experiences with wearables. Follow Brett on Twitter @brettking. Brett King is the founder of Moven, the world's first downloadable bank account, a four-times Amazon Bestselling Author, American Banker Innovator of the Year (2012), named as "King of the Disruptors" by BankingExchange and voted as one of the Top 10 coolest brands in banking. 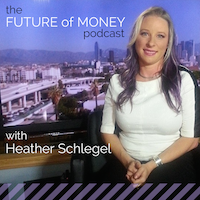 He has spoken to more than half a million people in 40 countries on the future of technology, banking and consumer behavior. His latest book is Augmented. 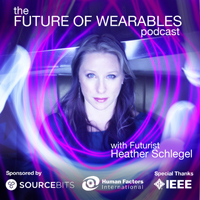 The Future of Wearables series is made possible by Sourcebits and The Heterotopian Design Group with a special thank you to IEEE.